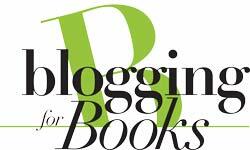 I recently launched a new website through WaterBrook Multnomah called BloggingForBooks.org. Blogging for Books allows bloggers to request free review copies in exchange for a thoughtful reviews on their blogs, a retailer’s site and on BloggingForBooks.org. Bloggers get free books and can win prizes based on how many times they can get their reviews ranked in the system. In my time as an online product developer, this is the coolest program I have ever built out. Thanks to Rocket Jones (web development) and Tenfold Collective (design) as well as everyone at WaterBrook and Random House that believed in this project, invested in it and helped to make it a reality. This entry was posted on January 14, 2011 at 2:40 pm and is filed under Marketing, Publishing. You can follow any responses to this entry through the RSS 2.0 feed. You can leave a response, or trackback from your own site.